German thrash titans KREATOR partnered with Record Store Day to release a black Friday Exclusive. 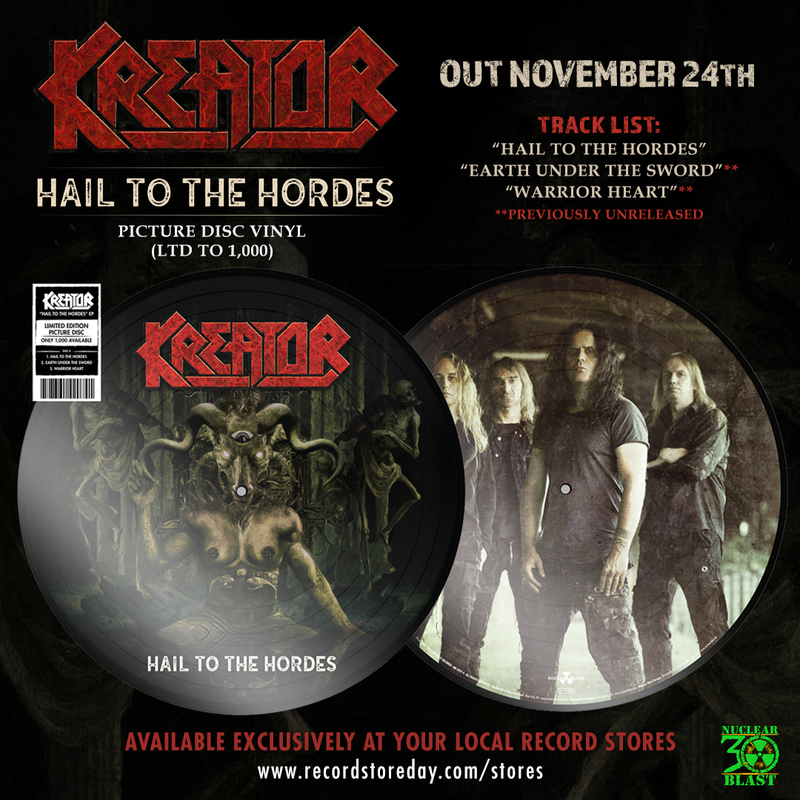 On November 24th, a limited edition (1,000 copies) of “Hail To The Hordes” on picture disc vinyl will be available EXCLUSIVELY at your local indie record stores! “Hail To The Hordes” is off the bands highly-acclaimed 14th album, Gods Of Violence. It was recorded under the watchful eyes of producer Jens Bogren (OPETH, AMON AMARTH, KATATONIA) who also mixed the record at renowned Fascination Street Studios. Mastering was also completed at Fascination Street Studios by Tony Lindgren. 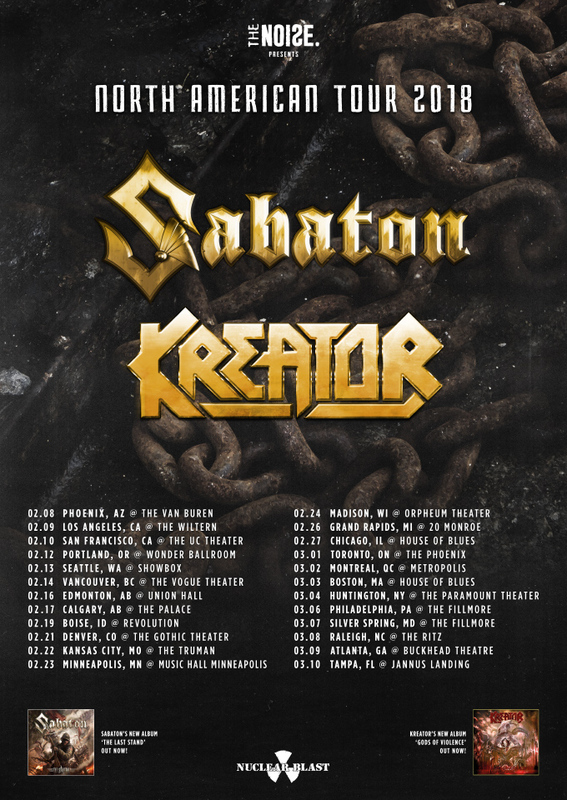 SABATON will be touring in support of their highly-acclaimed eighth album, The Last Stand. Check out the the lyric video for “Sparta” which chronicles the story of the most iconic last stands battle of Thermopylae.